Agates found by three different people will be featured this month. 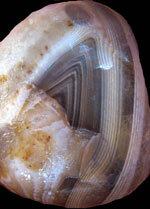 First, Victor Irving from Fulton, MI came in with this mostly white agate. 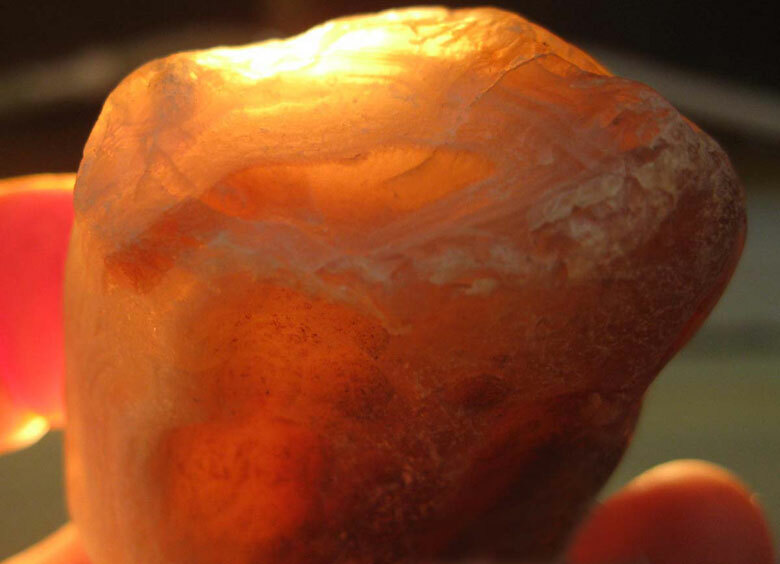 Translucency is a very important thing to look for while agate hunting. This agate certainly proves just how translucent Lake Superior agates can be. 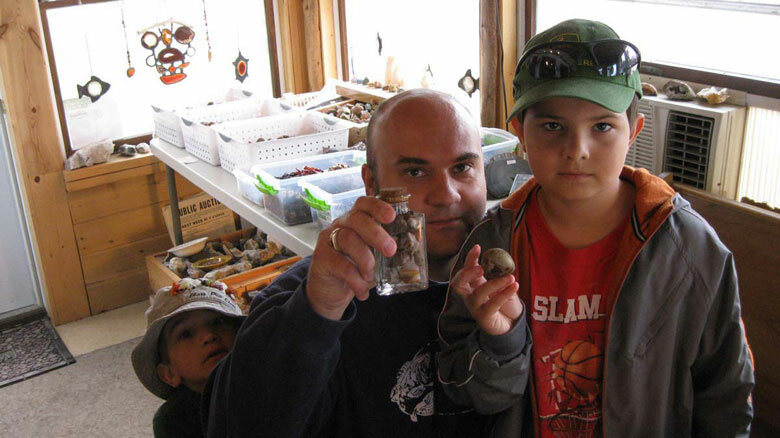 The next agates were found by the Kozakov family who visit Grand Marais every year from Brighton, MI to hunt for agates. They had just arrived at 4:00 pm the day before coming into the museum. 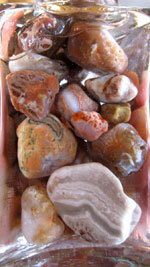 They already had 4 or 5 glass jars full of higher quality agates plus some other lesser quality ones in a box. 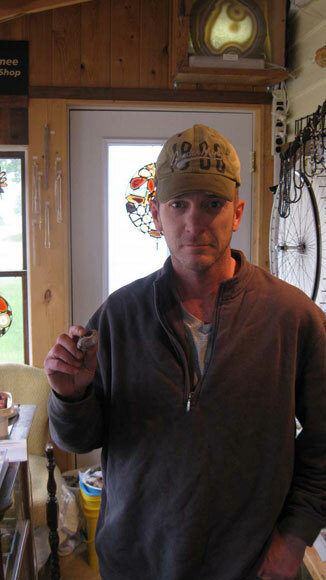 The best one they found is featured individually. 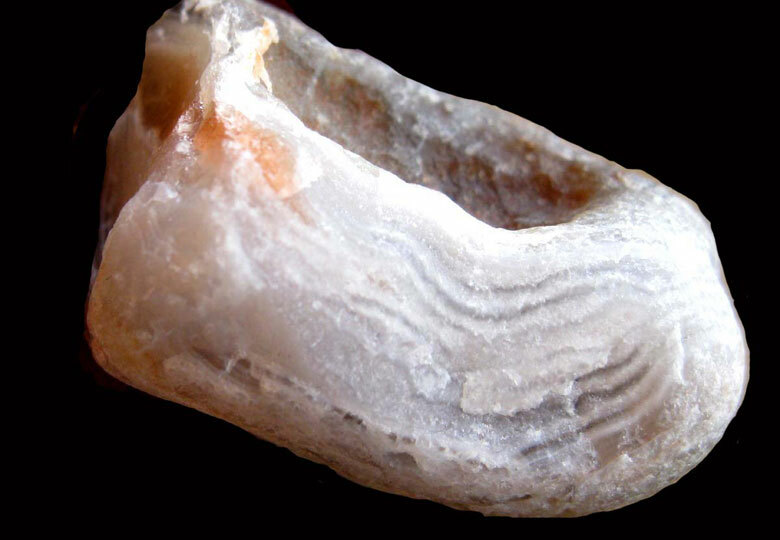 It was found by son, Adrian. 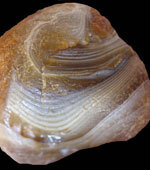 The father, Sviatoslav, found most of the agates in the jar.